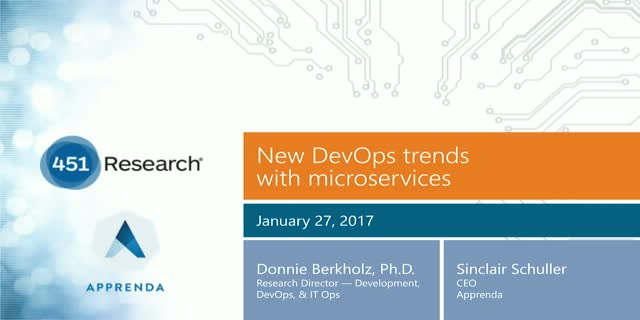 Join Donnie Berkholz, Research Director for 451 Research, and Sinclair Schuller, CEO of Apprenda, for a presentation on the trends in software development lifecycle at a time when containers are leading to Cambrian explosion of application development. Berkholz will present research from 451 on how organizations are currently using containers and container management. Schuller joins the discussion to add insights from working with many Fortune 500 through their transformation to using containers for rapid delivery and efficient management of applications. • Are organizations running docker containers in production? • Where are your peers concentrating their microservices efforts? • How container platforms change development lifecycle?